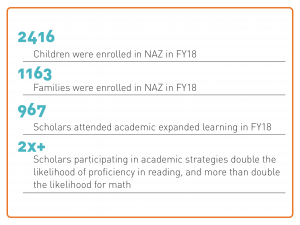 Data shows that NAZ families are making remarkable strides in their own achievement. The NAZ collaborative is committed to results-based accountability. “Results NAZ” is a regular convening of our partners and evaluators to review progress against our ambitious goals. Read more.